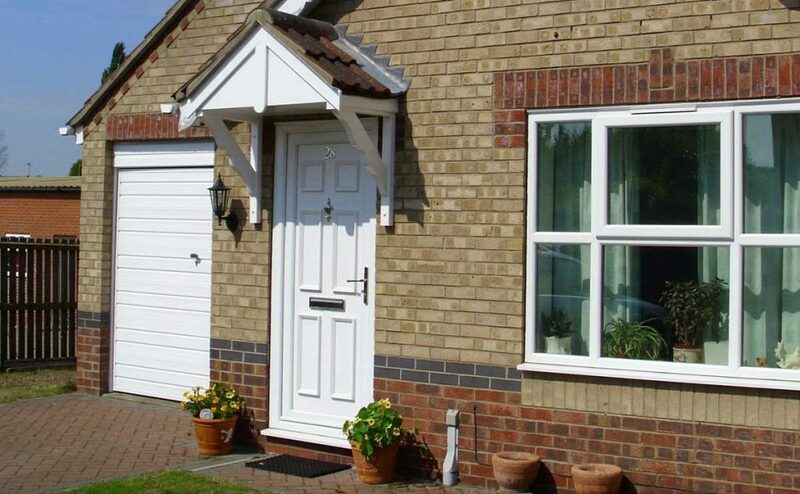 Intelligently designed uPVC doors are ideal for homes in Ledbury and the surrounding areas. Give your home the gift of thermal efficiency and weather protection. Why Choose uPVC Doors for your Ledbury Home? The main reason uPVC doors are so popular for homes in Ledbury and the surrounding areas is due to the impressive durability and versatility. They are built to withstand frequent use, adverse weather and potential break-in attempts, making them a secure solution for any property. 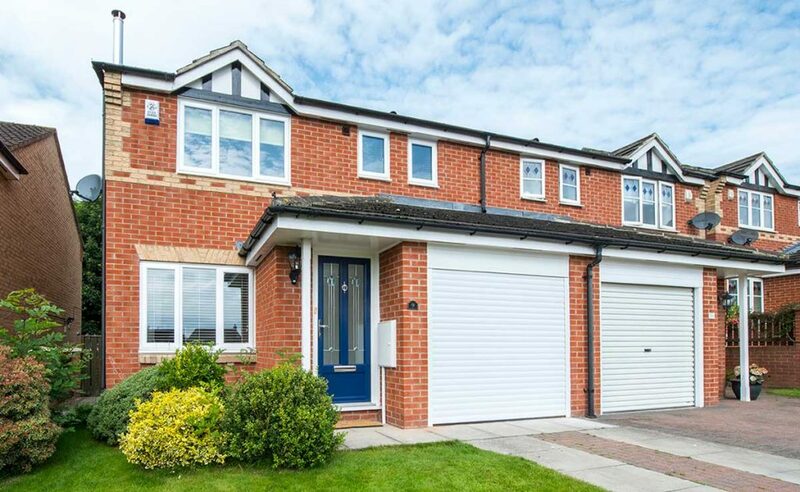 You won’t have to compromise on style or functionality as our uPVC doors created by VEKA are the market leading uPVC door solutions currently on the market. With strong and robust profiles that protect your home as well as providing stunning aesthetics and the perfect finish. All of our uPVC doors have undergone thorough testing and assessment to make sure they meet the highest standards and criteria every time. uPVC doors improve the thermal efficiency of your home, reducing energy costs and lowering your carbon footprint. Furthermore, they work to eliminate draughts and water ingress, keeping your home warm as well as dry. You can enjoy scenic views of the outdoors from the comfort of your home, with glazing options that can increase natural light slim sightlines. 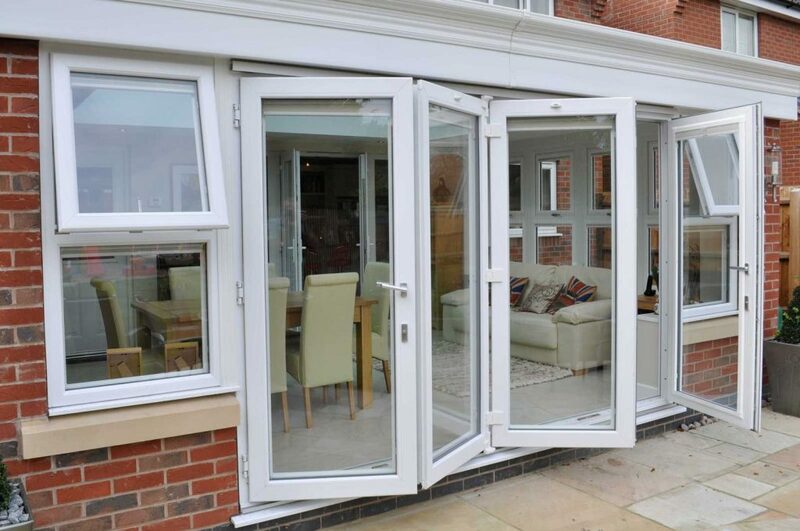 We don’t just provide uPVC doors as an entrance door solution, we also offer uPVC bi-fold doors, patio doors and more. Whether you are looking to replace all of the doors in your Ledbury home or you’re focusing on installing a particular door style into your house, we can help. The Polyvinyl Chloride used in our uPVC doors does not suffer from deterioration over time, creating a door profile that can withstand the test of time and requires virtually no maintenance. You won’t need to worry about spending time or money on the upkeep of our uPVC doors that won’t suffer from warping, rusting or rotting. An advantage of choosing our uPVC doors is that you can tailor them to look exactly as you’d like to complement your property aesthetic and personal taste. You can select a minimalist design in a discreet shade or you could opt for something that makes more of a statement. All of our doors are high quality and feature excellent personalisation options including colours, woodgrain foils, hardware accessories and glazing. Our uPVC doors are finished to an exceptional standard creating a fabulous first impression for your Ledbury home. Our uPVC doors can adapt to a wide variety of surroundings, whether you own a conventional property with a traditional feel or something more contemporary and modern. Our doors can enhance your home with increased natural lighting, thermal efficiency and protection against the elements whilst looking great. The professional design and clean aesthetics of our uPVC doors make them a worthwhile choice for any Ledbury homeowner. Adding double glazing to your home can instantly increase the value and improve the kerb appeal of your property. Our uPVC doors come in a range of shapes, sizes and colours to give you a wealth of choice to choose from. Made to measure so that they suit your exact requirements, our doors are tailored to your home to make for the perfect fit. Our uPVC doors are particularly effective when it comes to insulating your property from outside noise. Whether you live near a busy road, built up area or if you’re on a flight path, our doors can help create a quiet and peaceful environment. When installed with precision and expert skill, your uPVC doors limit the heat you lose from your home, helping to keep your house warmer for longer without reliance on the central heating. This in turn will reduce your energy costs and lower your carbon footprint. You won’t have to worry about issues such as a build-up of condensation, mould and damp with our uPVC doors as they help eliminate any issues with draughts, water ingress of mildew. Keeping moisture out and maintaining a regulated temperature indoors means you can enjoy a more comfortable environment. Our uPVC doors meet PAS42 standards and are Secure by Design accredited, providing you complete peace of mind about the safety and security of your Ledbury home. With inbuilt high security locking mechanisms, you’ll be confident that your home is protected. We provide competitive pricing for all of our uPVC door products. We think every homeowner in Ledbury should be able to benefit from stunning doors at budget-friendly costs. You can visit our online quoting engine to get a free quote for your uPVC door needs.